This music box is an exciting example of mechanical ingenuity. 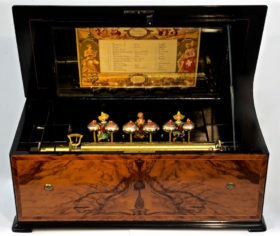 Paillard was as a highly extensive music box maker, and an important contributor to the music box industry. 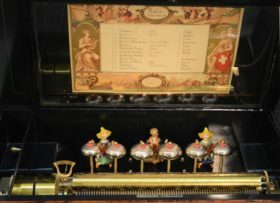 This music box plays 12 unique tunes. 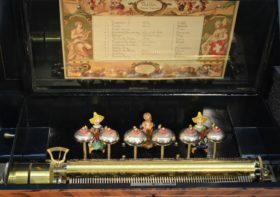 Monkey and mandarin figures play 6 bells, moving their heads and arms as though actually playing. 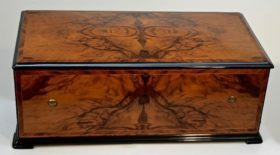 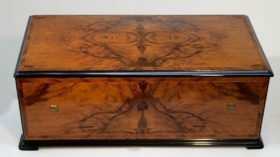 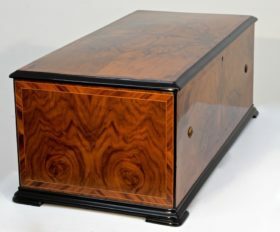 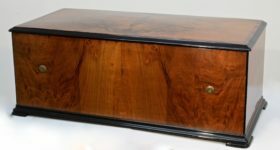 The music box resides in a elegant case, veneered with a complex four-way book matched burl walnut and rosewood banding. 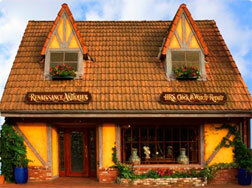 All this culminates in a charming and interactive experience for the senses.